A free World War One heritage trail has been created in Worcestershire to coincide with centenary commemorations of the Great War. 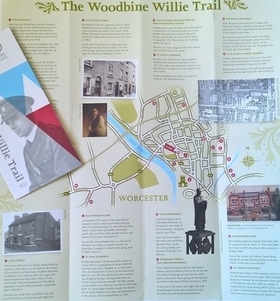 The Woodbine Willie heritage trail has been produced by the Worcestershire World War One Hundred programme and allows walkers to follow a route featuring 15 historic locations across Worcester. People following the trail will celebrate the life of Geoffrey Anketell Studdert Kennedy, better known by his war-time nickname Woodbine Willie, who would offer soldiers cigarettes and a bible on their way to the front. 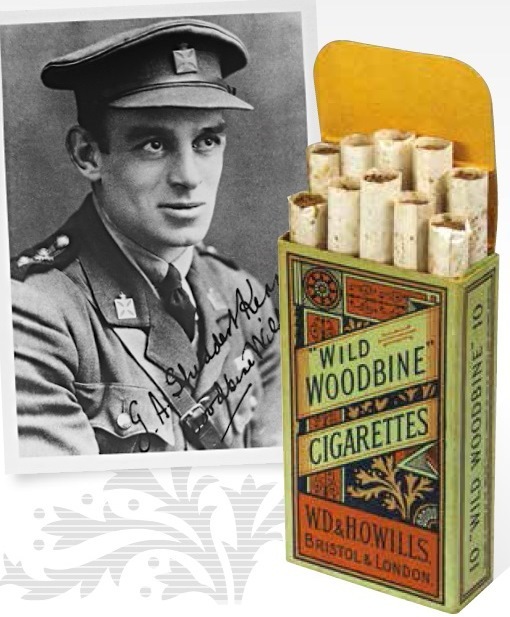 Inspirational Geoffrey was an Anglican priest and poet, who was nicknamed Woodbine Willie during World War I for giving Woodbine cigarettes, along with spiritual aid to injured and dying soldiers. He became the vicar of St Paul's Church in Worcester in 1914, before volunteering to support the armed forces during World War One. He survived the war and died in March 1929. The trail starts off at the Guildhall and stops off at sights including Worcester Cathedral before ending at Woodbine Willie's resting place at St John's Cemetery. It was researched and compiled by Worcestershire World War One Hundred Volunteers Cathy Broad and Vanessa Haddleton. Other locations on the trail are Woodbine Willie's statue in the Cornmarket and the Studdert Kennedy family home. Adrian Gregson, Worcestershire World War One Hundred Project Director said: "The trail is an ideal way to get out and about across Worcester and visit some of our fantastic heritage venues. Woodbine Willie is an important historical figure in Worcester and the research compiled by our volunteers has really brought him to life." The Woodbine Willie Trail is free and available to pick up from Worcester TIC, The Hive and other heritage venues across the City. The Trail is also available to download free at the Trail website or you can view the leaflet here. Worcestershire World War One Hundred is a four-year programme of events and activities commemorating the role Worcestershire played in World War One. A new trail commemorating the life of music hall star Vesta Tilley will be launched later in the year. Sounds like a really interesting walk - will be doing it in the New Year. Thanks for posting it, Alison.